Lasting results never go out of style. In an industry of rapid change, global issues and tech-savvy consumers, Friedman delivers tailored fashion accounting services to guide your business at every turn. Our experts empower your financial decision making—bringing industry-specific knowledge, personalized service and a proven track record of client satisfaction. Enduring knowledge. With experience dating to 1924, Friedman has provided fashion clients with comprehensive accounting, tax and consulting services through nearly a century of industry evolutions. Rich resources. Bringing specialized expertise in a host of areas such as mergers and acquisitions, international tax and cyber security, we sharpen your competitive edge with strategies designed to fit your unique needs and goals. Continual care. You will benefit from a committed client service team by your side each step of the way. Communicating with you on a regular basis, we entrench ourselves in understanding your short-and long-term goals, allowing us to leverage industry-best practices to enhance your business and personal wealth. Fashion-forward insights. As founders of the Fashion Services Network, we stay on the pulse of fashion industry trends to bring you new ideas, information and connections, helping you tap into emerging opportunities. Through our exclusive network, you’ll gain access to industry experts offering legal, branding, logistics, lending and other tailored advice. To get outfitted with a strategic partner invested in your success, reach out to a member of the fashion accounting services team, or contact us. 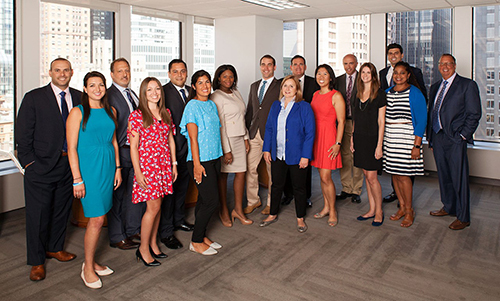 Here’s a look at the firm’s tax and accounting advisors who are dedicated to providing personalized client service to the fashion industry. As you begin to prepare for the end of 2013, there are many things that are on your mind. One is most likely the upcoming healthcare reform due to the Affordable Care Act.